The Advanced Energy Economy Institute (AEEI) is a nonprofit educational organization whose mission is to raise awareness of the public benefits and opportunities of advanced energy— energy from clean, secure, and affordable sources. This grant aims to accelerate market adoption of advanced energy technologies to create a more secure, resilient, clean, and cost-effective power sector, and to bring a private-sector voice to support the Environmental Protection Agency’s Clean Power Plan. 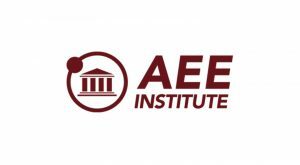 AEEI educates policy officials, regulators, and utilities on how to transform business and regulatory models to expand access to energy efficiency, low-carbon energy, smart grid technologies, microgrids, electric vehicles, and energy storage.